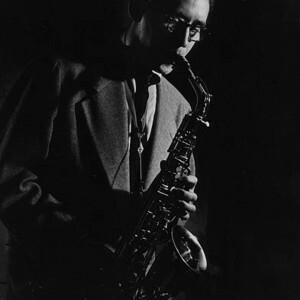 Lee Konitz (born October 13, 1927 in Chicago, Illinois) is an American jazz composer and saxophone player. Konitz is sometimes regarded as the preeminent cool jazz saxophonist, because he performed and recorded with Claude Thornhill, Lennie Tristano (both often cited as important cool jazz proponents of the mid 1940s), and with Miles Davis' on his epochal Birth of the Cool, which gave the form its name. Konitz is sometimes regarded as the preeminent cool jazz saxophonist, because he performed and recorded with Claude Thornhill, Lennie Tristano (both often cited as important cool jazz proponents of the mid 1940s), and with Miles Davis' on his epochal Birth of the Cool, which gave the form its name. Konitz has also been repeatedly noted as one of the few jazz saxophonists of the late 1940s and 1950s who did not seem imitative of the massively influential Charlie Parker. In the early 1950s, Konitz recorded and toured with Stan Kenton's orchestra. In 1961, he recorded Motion with Elvin Jones on drums and Sonny Dallas on bass. This spontaneous session, widely regarded as a classic in the cool genre, consisted entirely of standards. The loose trio format aptly featured Konitz's unorthodox phrasing and chromaticism. In 1967, Konitz recorded The Lee Konitz Duets, a series of duets with various musicians. The duo configurations were often unusual for the period (saxophone and trombone, two saxophones). The recordings drew on very nearly the entire history of jazz, from a Louis Armstrong dixieland number with valve trombonist Marshall Brown to two completely free duos: one with a Duke Ellington associate, violinist Ray Nance, and one with guitarist Jim Hall. Konitz has been quite prolific, recording dozens of albums as a band leader. He has also recorded or performed with Dave Brubeck, Ornette Coleman, Charles Mingus, Gerry Mulligan, Elvin Jones and others.